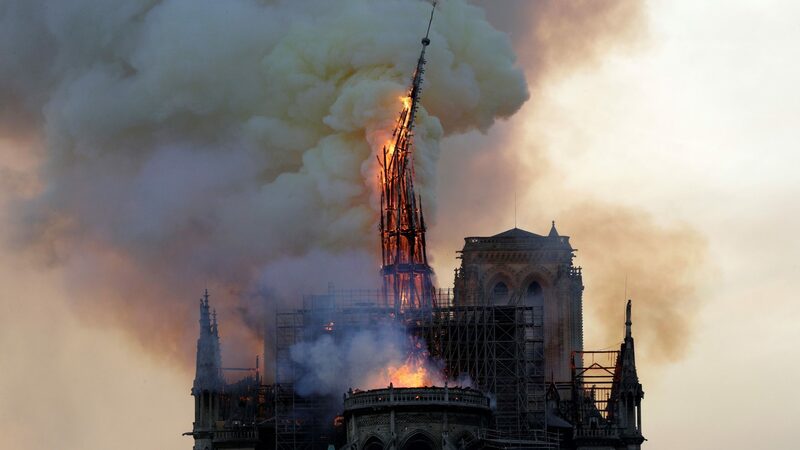 The fire at Notre-Dame appears to have taken hold in the cathedral’s nave. It is reported that there were extensive building works being carried out there, but there is no information yet as to what may have actually caused the fire. The area surrounding the building has been cleared and firefighters are tackling the blaze in what they have called a major operation. The mayor of Paris has called the strength of the fire “terrible”.